Award-winning actress Anna Manahan has died at the age of 84. Born in Co Waterford, Anna Manahan trained at the Gaiety Theatre in Dublin and worked with many famous names, including Michael MacLiammoir and Hilton Edwards at The Gate. She went on to become an internationally recognised actress on stage, television and film. Her television roles included parts in The Riordans, The Irish RM and Fair City, while her extensive stage work included Big Maggie, which was written for her by John B Keane. She was nominated for a Tony Award 1969 and won a Tony in 1998 for her part as Mag in Martin McDonagh's The Beauty Queen of Leenane. In her 80s she continued to tour and perform. She had recently spoken out on the rights of elderly people and was a patron of Active Retirement Ireland. Tragically widowed in her early 30s, she never remarried, and had been living with her brothers in Co Waterford. She was granted the Freedom of Waterford city in 2002. Minister for Arts, Sports and Tourism Martin Cullen expressed his sympathy on her death. Minister Cullen said: 'When people talk about great influential Irish actresses they talk of Anna Manahan. That is a testament to her talent. 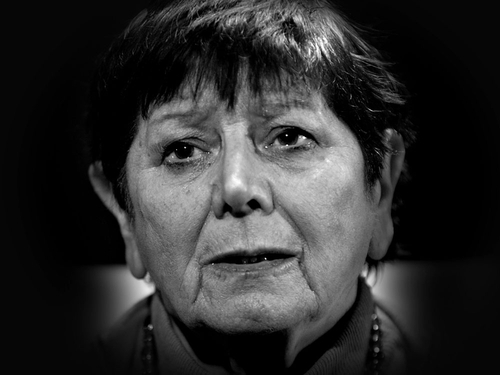 Chairman of the Arts Council Pat Moylan said: 'The Council is deeply saddened at the passing of Anna Manahan. Anna was a consummate professional, with the art of theatre acting in her bones.